Why MacX MediaTrans is the Best iTunes Alternative to Sync iPhone Data? 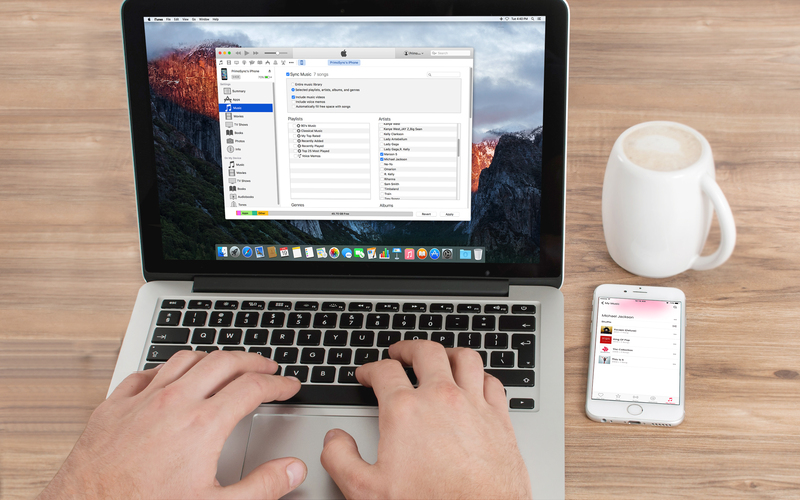 As an iPhone user, you must have definitely encountered various iTunes sync errors while syncing iPhone files such as music, photos, videos, etc. The errors may include data loss, duplication, app crashes, etc. The bulky 4k videos may max out iPhone storage. The HD records and HEIC photos may run into format issues, and other valuable data may be exposed to cyber theft attacks. 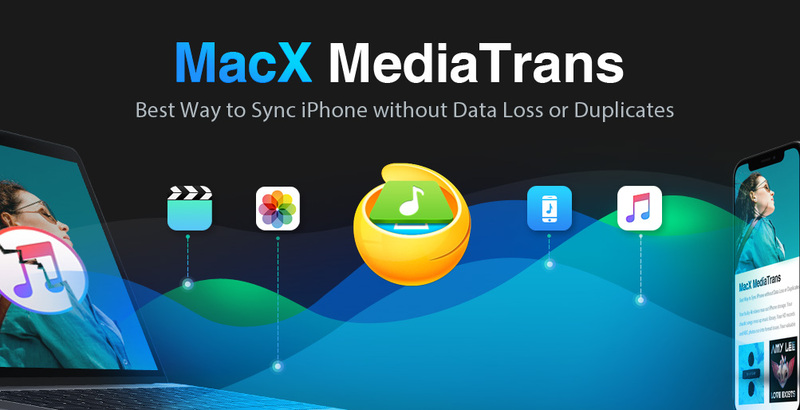 Read more about Why MacX MediaTrans is the Best iTunes Alternative to Sync iPhone Data? Apple iTunes has never been my choice of iPhone Manager, and that is why I have always preferred third-party iTunes alternatives like the one I am reviewing today - the IOTransfer for Windows and MacOS. IOTransfer offers users a powerful 1-click batch-transfer feature which lets users take care of iOS files and data with greater convenience and ease. With IOTransfer, users are able to transfer music, photos, videos, podcasts, voice memos and more from iPhone, iPad or iPod touch to iTunes, computers or other iOS devices in bulk with just 1 simple click. 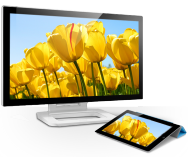 Users can also drag-n-drop files from PC to their devices and download files from device to PC with ease. To kickstart their new promotion, the company is offering our blog readers EXCLUSIVE UNLIMITED KEYS GIVEAWAY worth $24.95 EACH for users of both Windows and MacOS platform. Simply follow the simple instructions provided at the end of this post to claim your FREE key. The iPhone and iPads come with lots of restrictions such as the inability to move data from and to your computer. You cannot use your iPhone as freely as an android device. Though these restrictions are for the user’s safety but a little bit of freedom will double the experience and the fun. 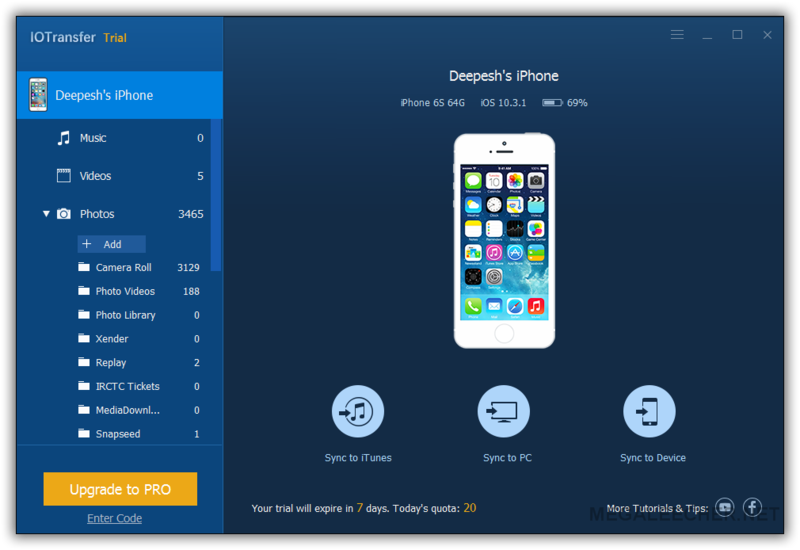 The iCareFone (iPhone Care Pro) by Tenorshare is a PC software that will provide you with all the freedom you need to use your iOS devices. It works for all the iOS devices ranging from iPhones, iPods to iPads and all the versions of the iOS including the recent iOS 9.3. iCareFone consists of six different tools that help you fix issues on your devices. In many cases, iTunes’ one-way syncing method won’t satisfy our iPhone / iPad / iPod media content management need. For example, if you have multiple computers, you can only sync your Apple device with one of them. This is the way PrimoMusic for Mac comes in. PrimoMusic for Mac is a newly released iPhone / iPod Transfer software, which makes it super easy to manage your music, movies and all media content on your iPhone, iPad and iPod. Copying music to / from any Apple device made simple, fast, even without the bother of iTunes. Usually priced at 19.99USD, now you can get it for completely free during the Giveaway. 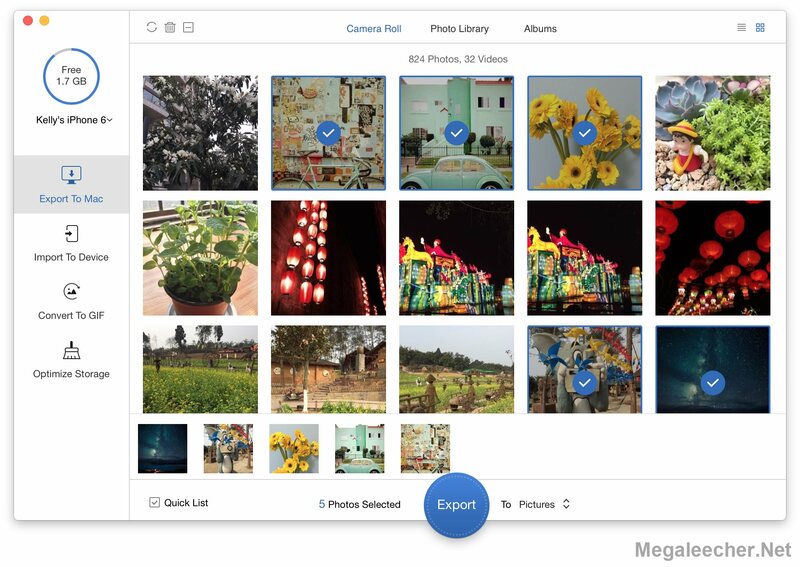 PrimoPhoto is newly released desktop software that’s made to simplify your iPhone, iPad photo management. With its clear-cut interface, you can easily transfer your photos to / from your Windows / Mac computer without iTunes; convert Live Photos and other videos recordings to animated and shareable GIFs images so that you can share them through email, whatsapp, etc. 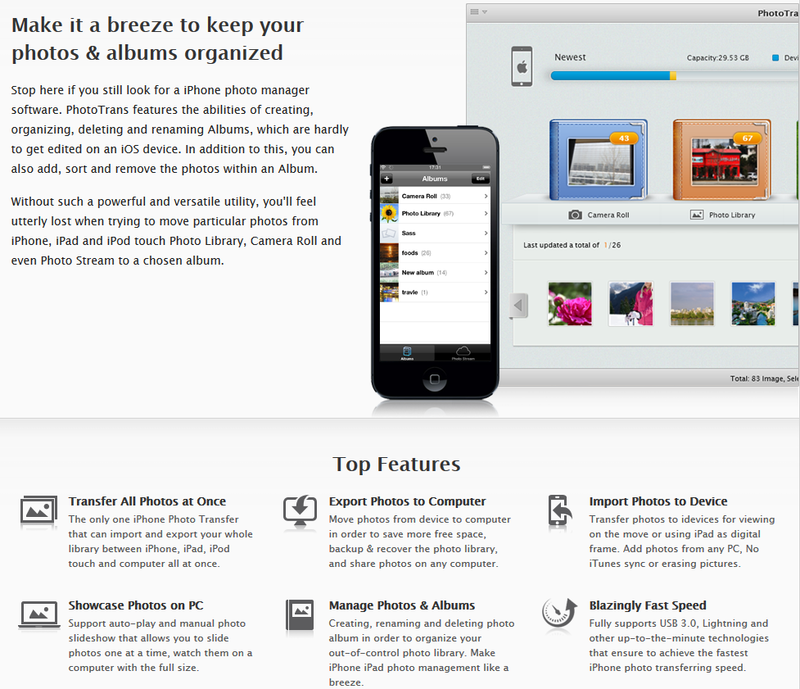 Moreover, with PrimoPhoto, you can also optimize your iPhone storage by cleaning up all kind of photo cache junks. As this Giveaway will end on March 21, 2016, so hurry up to get your copy for free. Who May Need This Software? ⦁	Users whose iPhone or iPad is running out of space and need to reclaim more storage. What is PrimoPhoto capable of? PrimoPhoto comes to give an amazing collection of iPhone, iPad photo management solutions, where one click can put your photos wherever you want. The best part is, you’re allow to sort your photos by album, file size, name, taken time, etc. 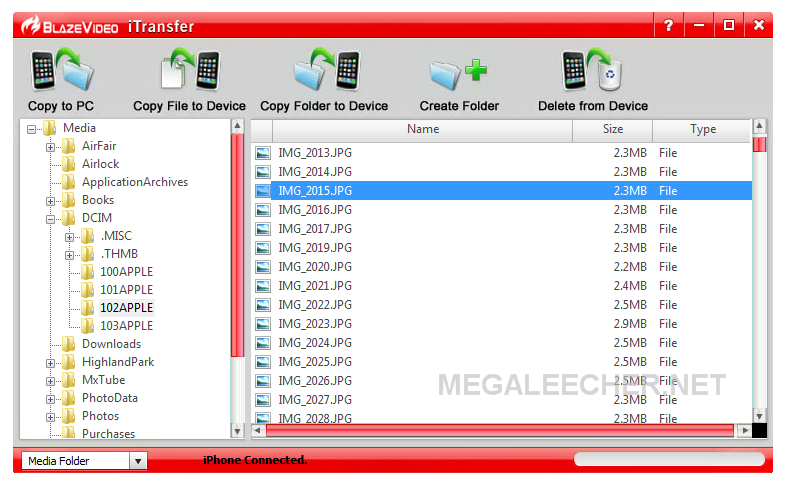 Syncios Manager is a free tool to transfer files between iPhone, iPad, iPod touch and PC. Are you looking for an alternative to iTunes for copying all kinds of files to your iOS device? 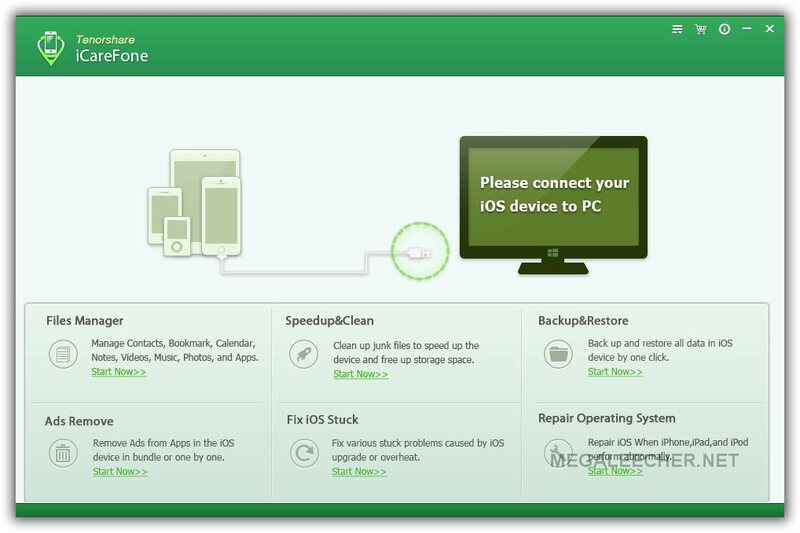 If you lost iTunes library, suffer from a computer crash, buy a new computer or others and want to transfer files from iOS devices to PC, Syncios would be an awesome option. Which makes it much easier than iTunes to transfer music, video, photos, contacts, messages, apps and more from iPhone, iPad, iPod Touch to Windows PC or Mac. Transfer files from your computer to iOS devices will be also available. There are also free handy build-in tools in Syncios Manager: free Video Downloader to download online videos from 100+ sites including YouTube, Vimeo, Facebook, etc, free Audio Converter, free Video Converter, free Ringtone Maker, free iTunes Backup Management and more functions. If you are looking for free wallpaper and ringtones, the free Syncios Manager is worth trying. 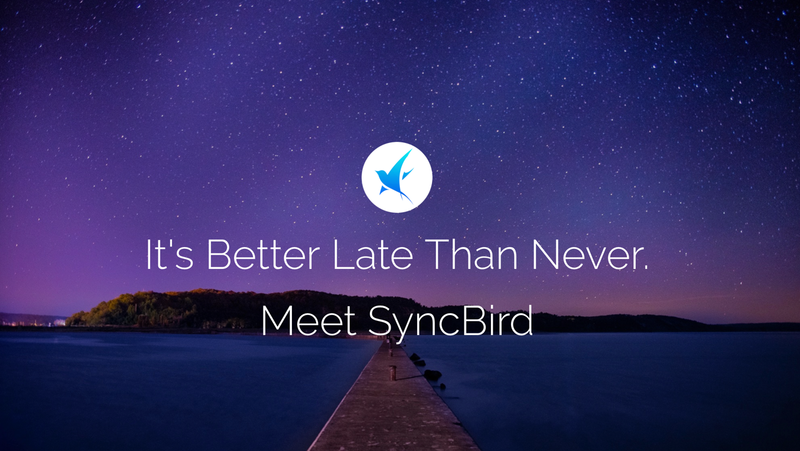 It is packed full of features designed to make managing your device as simple as possible. Apple iTunes is neither user nor computer resource friendly, and if you feel the same BlazeVideo iTransfer is an good alternative for PC users. BlazeVideo iTransfer is a very simple to use, minimalistic Apple iOS To PC and vice-versa file-manager which can automatically detect and sync all Apple devices as soon as they are connected with your computer via USB or WiFi. All contents in the System Folder of Apple devices will be displayed in the program, and you can manage the contents like creating a folder or deleting a file etc. directly on PC. Once connected users can transfer, backup or restore their music, movies, videos, pictures, ebooks, ringtones, PDF and other files from their Apple devices to computer or the other way around at an impressive transferring speed with flawless quality. People love taking photos! But do you know it's estimated that mankind has taken... 3.8 trillion photos, ever! It would take nearly 145 billion iPhones to store that 3.8 trillion photos. The figures are not interesting? So let's talk about how many photos you had in your iPhone Camera Roll? For me, I have over 2000 pictures there, everything that I want to remember. Managing such a bulky photo library really concerns me a lot. For instance, I have to delete these poorly composed photos from device one-by-one. That's the reason we'll need an iPhone photo manager software to make this task easier. iMobie PhotoTrans is a good option. As one of the very few utilities focusing on iOS device's photos, it has an array of features that help you to transfer iPhone iPad iPod touch pictures to & from computer, organize albums without iTunes and enjoy the wonderful pictures in a slideshow. PhotoTrans has been designed in line with our intuitive habit to manage your Apple iOS pictures without iTunes and even enjoy them as a slideshow. If you love the idea and want to give this a try you can benefit from the this offer - Before 5th June'2013, PhotoTrans is available for free as a promotional new release offer. When opening email box, a set of 'Celebrating 10 Years of iTunes' and related news lit up my eyes and all memories about CDs, iPods and Music spurted out. I still remember in 2008 Coldplay’s "Viva la Vida" topped the list followed by Leona Lewis' "Bleeding Love." One year later, Carly Rae Jepsen's "Call Me Maybe" was the top song. Let it be far back. 2004, we witness U2's album - "How to Dismantle An Atomic bomb" tops the chart and that's my first experience of download digital music, a full album. So who will miss out this celebration? A good news is that iMobie (a developer of PhoneClean and PhoneTrans) arranged a promotional event to celebrate this iTunes 10th Anniversary. It's a mix of giveaway, discount offer and a chance of winning $100 iTunes Gift Card.